SEVIS Broadcast Message #1505-03, regarding scammers in the Chicago area targeting students in an attempt to solicit funds on behalf of the I-901 SEVIS Fee. Scammers are demanding those targeted to send up to $4,000 to avoid deportation and threatening students if they do not receive the money. 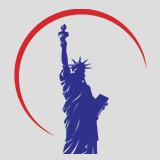 At BKJ Visa Law our primary focus and objective is to assist our clients with their immigration needs providing tailored service and a vast array of knowledge. Proud Winner Of The Avvo Clients’ Choice Award! Copyright © 2017 BKJ Visa Law. Web Design by PROIDEASWEB.